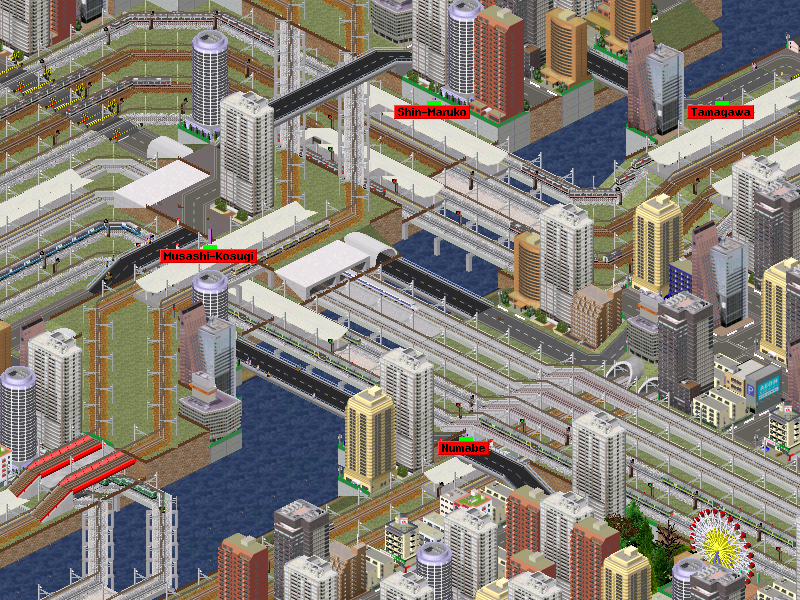 ﻿﻿Winners of the April edition of the Simutrans. 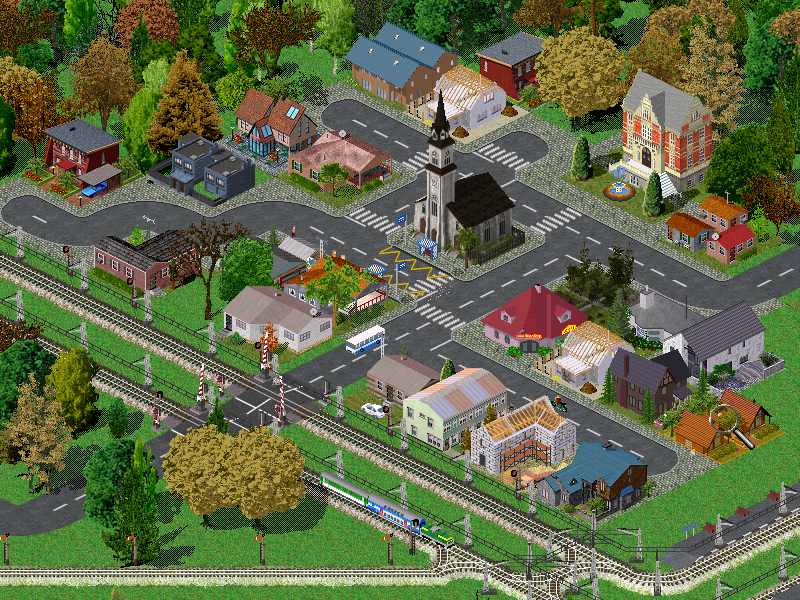 The first one, from derajjared is a small town have called south ville inspired in some Latin American municipalities. The second winner, from kierongreen has a good story: the Bideford to Exeter service has just left Barnstaple Railway Station, while one horse drawn omnibus service has just left to transfer passengers across the River Taw to the town centre. 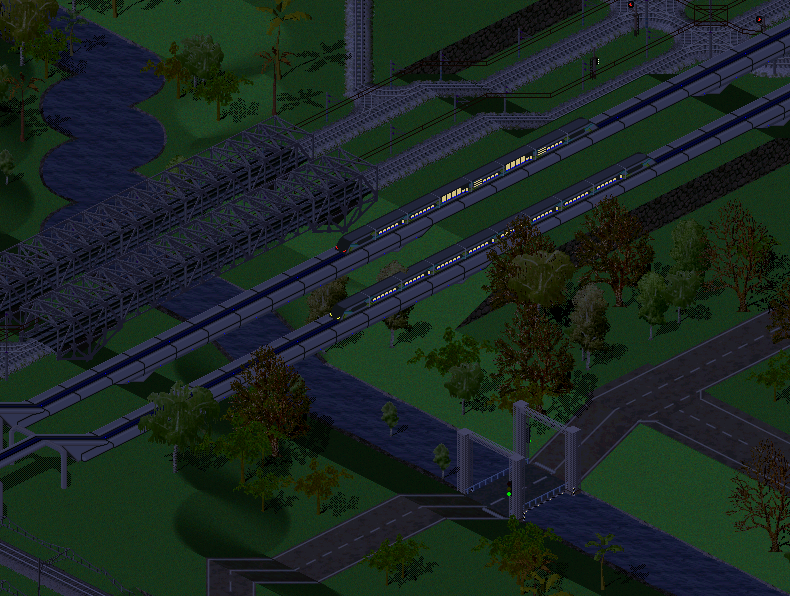 Another omnibus is just arriving, unfortunately these passengers will have a bit of a wait for the next train but at least they have plenty of time to purchase a ticket Built with pak.128 and pak.britain, both gathered 9 votes. Screenshots by AEO and TommPa9 scored second and third respectively. Another new edition of SMSC is on the way. 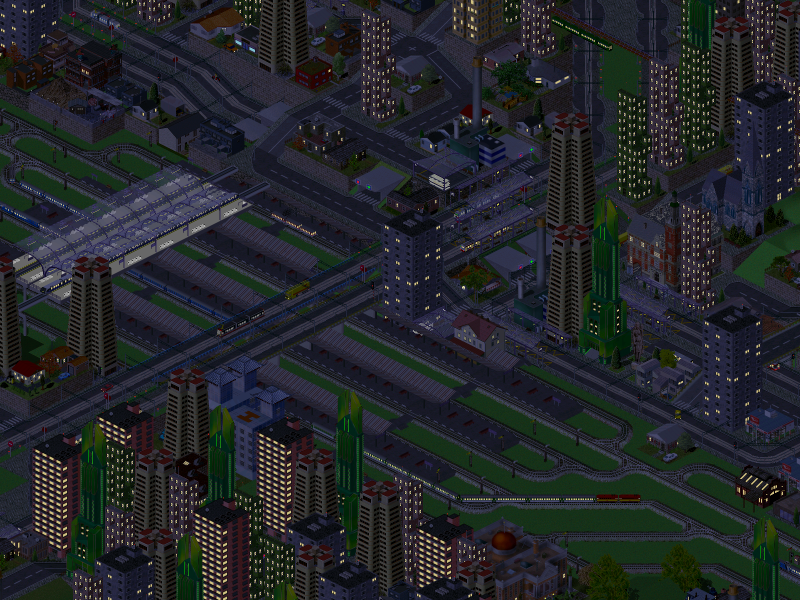 The subject of this month is Small cities. Everybody can participate, with only one screenshot of 800 x 600 pixels, in jpg or png formats. You can use any pakset, and the deadline is April 15th. The voting begins on April 16th. 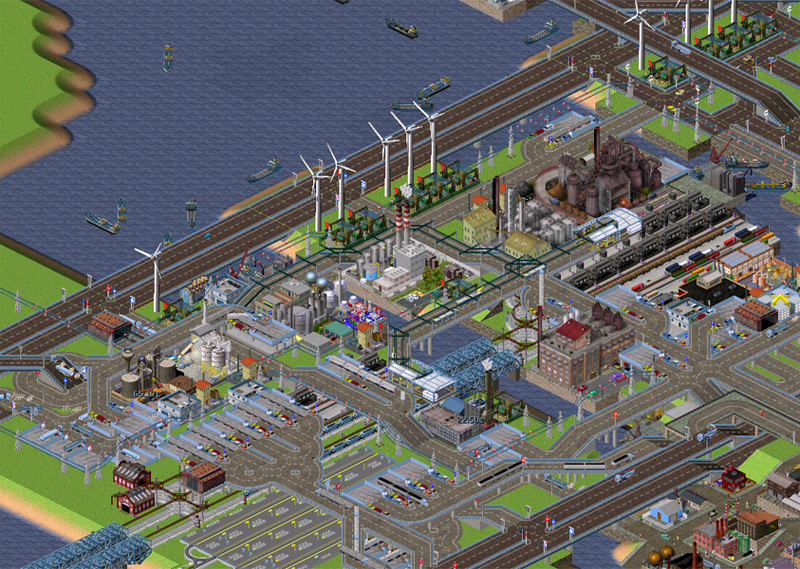 ﻿﻿Winner of the March edition of the Simutrans Monthly Screenshot Contest is hdomos. 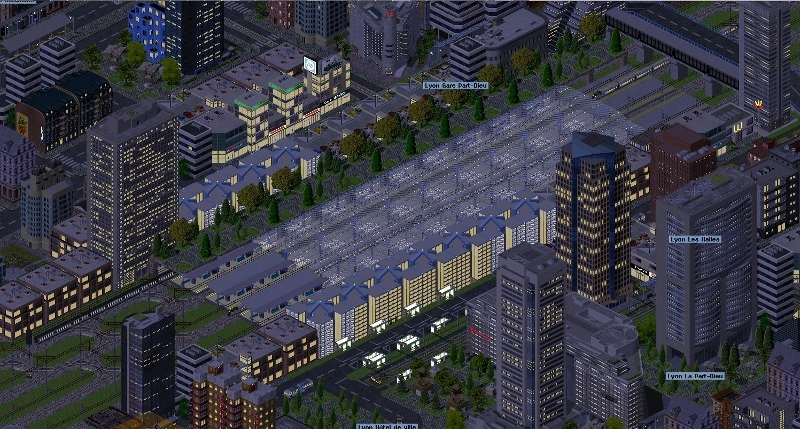 This industrial area provide most of the goods for the two town, including cars (not seen in picture), ethanol, gasoline, furniture, concrete, planks, books, etc… Built with pak.britain, It gathered 14 votes. Screenshots by sybill and Isaac_Clarke scored seconds and third respectively. Another new edition of SMSC is on the way. 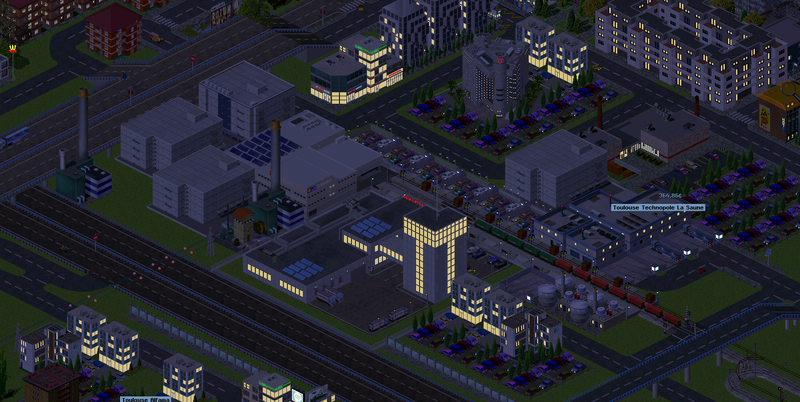 The subject of this month is Heavy Industries. Everybody can participate, with only one screenshot of 800 x 600 pixels, in jpg or png formats. You can use any pakset, and the deadline is March 18th. The voting begins on March 19th. 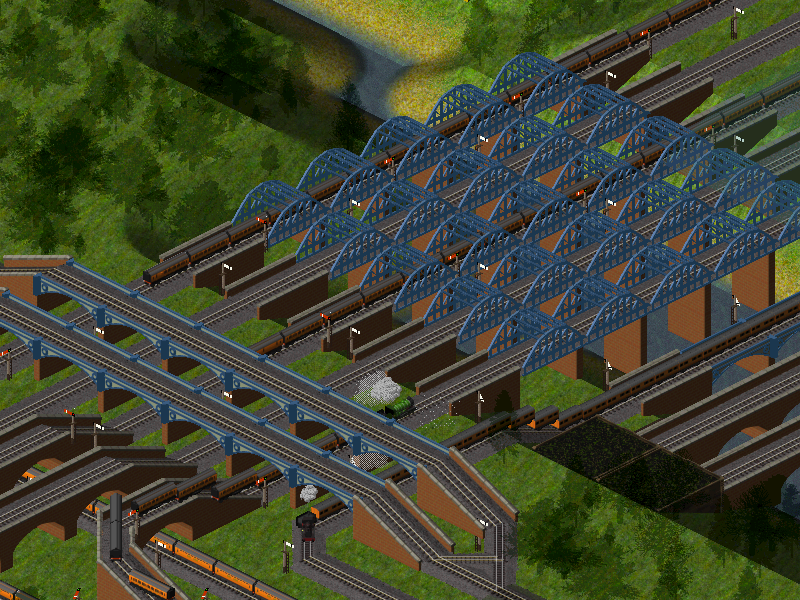 ﻿﻿Winner of the February edition of the Simutrans Monthly Screenshot Contest is sdog. 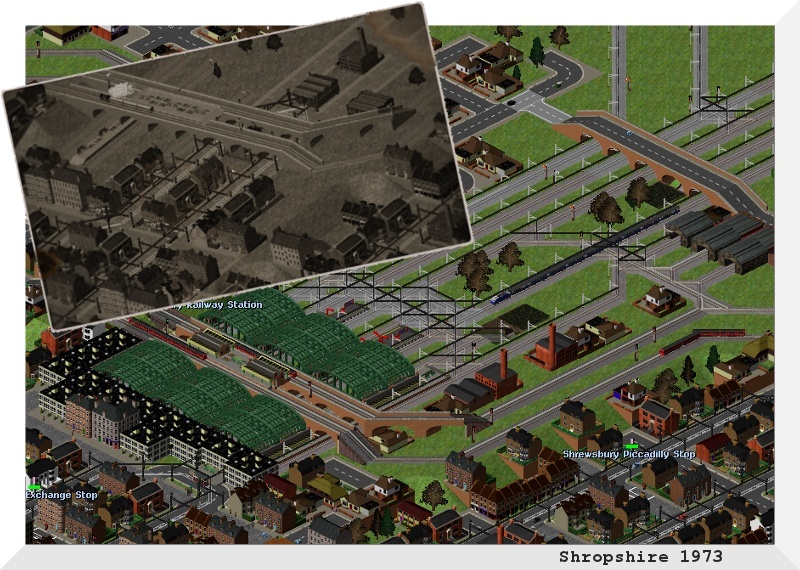 I found a poster from 1973 and a photo from 1905, both of Shrewsbury Railway Station. The older photo, (taken by a daring young Major A. C. H. Melchett from a montgolfiere) shows the station under construction. A circular line and a tram line were built already, while the tracks for the line to Manchester and Sheffield were being laid.. Built with pak.britain, It gathered 14 votes. Screenshots by Enkort and Sim, and finally Isaac_Clarke scored seconds and third respectively. Another new edition of SMSC is on the way. 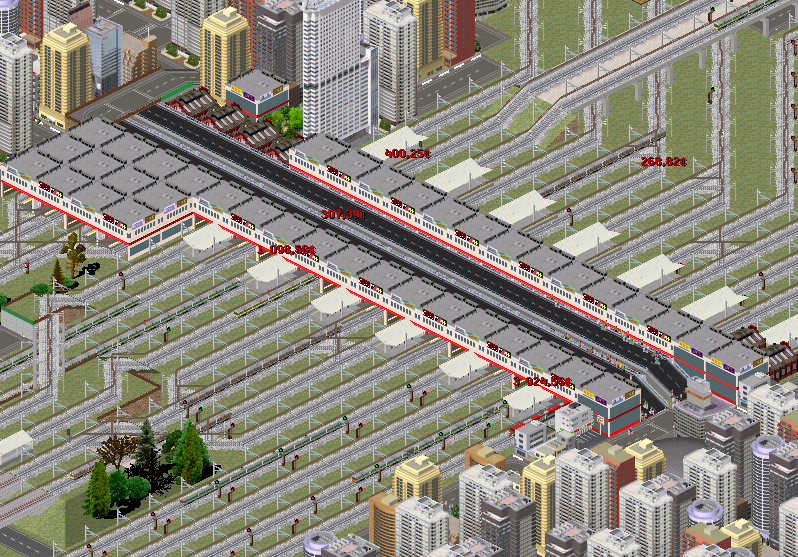 The subject of this month is Central rail stations. Everybody can participate, with only one screenshot of 800 x 600 pixels, in jpg or png formats. You can use any pakset, and the deadline is February 16th. The voting begins on February 17th. 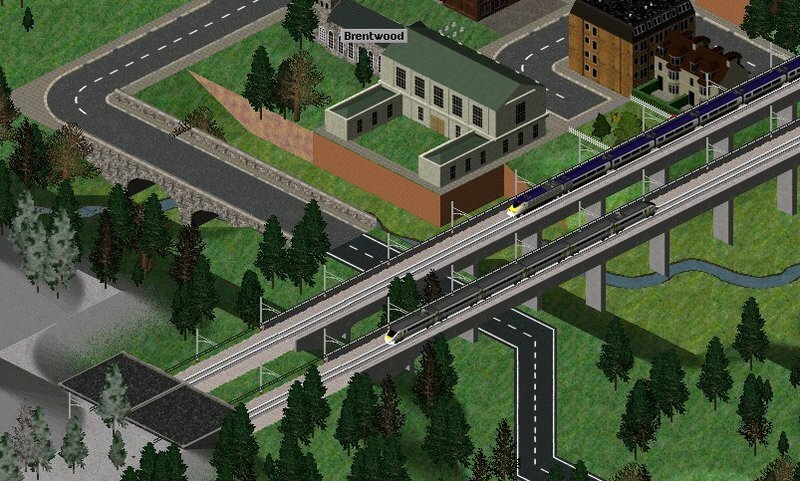 ﻿﻿Winner of the January edition of the Simutrans Monthly Screenshot Contest is carlbaker. 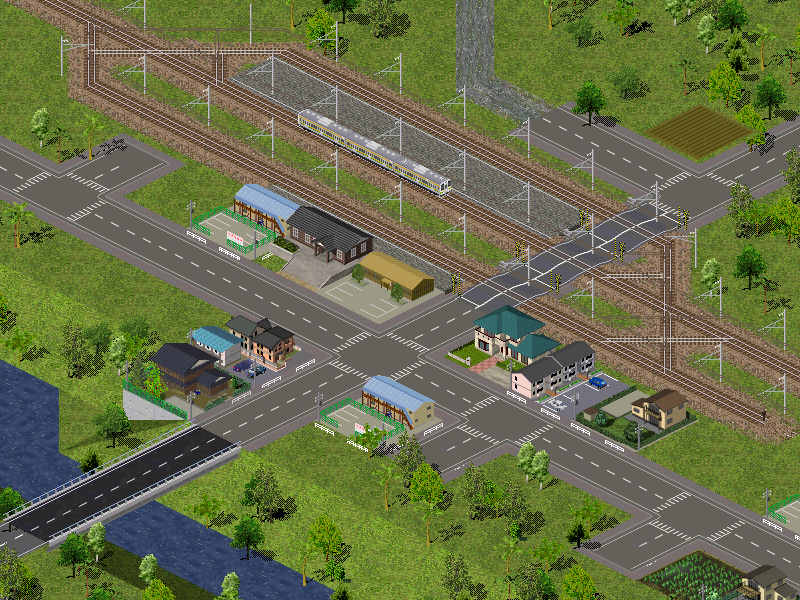 The screenshot shows the city in the distance, that marks an important railway crossroads, as well as an interchange for bus journeys into the nearby picturesque countryside. Built with pak.german, It gathered almost half of the total votes. Screenshots by The Hood and mEGA scored second and third respectively. New year and a new edition of SMSC. The subject of this month is From bridge to bridge at countryside. Everybody can participate, with only one screenshot of 800 x 600 pixels, in jpg or png formats. You can use any pakset, and the deadline is January 16th. The voting begins on January 17th.